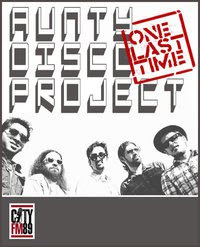 Aunty Disco Project are ending and this is your last chance to see them live in concert! Join us as we celebrate 5 years of rock'n'roll with our fans and friends.. Display pic: "Several Circles" - Vassily Kandinsky.